The <select> element creates a drop-down list with several options. 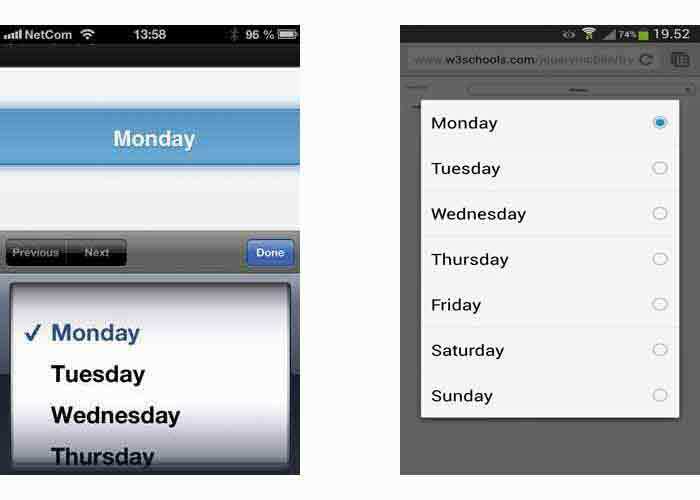 The images on top of this page, shows how mobile platforms have their own way of showing a select menu. How to group one or more selection menus. How to group selection menus horizontally. How to minify a selection menu. How to pre-select an option. How to create a popup selection menu. How to create collapsible forms. How to change the icon of select menus (default is "arrow-d"). How to change the icon position of select menus (default is right).